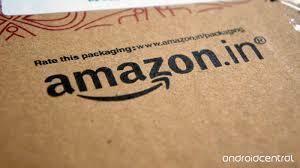 Amazon India has announced the launch of a new monthly plan for its flagship membership program, Amazon Prime. Priced at Rs 129 per month, the monthly plan offers the same benefits as the annual plan, which include unlimited free and fast delivery, Bollywood and International titles on Prime Video, Ad-free music streaming on Amazon Prime Music and Prime Exclusive deals, but with the additional flexibility of paying for membership monthly. Customers who prefer to pay annually, can continue to sign up for the annual plan for INR 999 per year. “We are excited to launch Prime monthly membership and offer more payment flexibility to customers. Customers are used to paying for a lot of services on a monthly basis – be it their rent, electricity and mobile bills, and we want to offer this same convenience for Prime. Monthly plan members enjoy all the same benefits as annual plan members do – free & fast shipping on millions of items, Exclusive deals on top products, the best Bollywood and International titles on Prime Video, and Ad-free streaming of millions of songs on Amazon Prime Music” said Akshay Sahi, Director & Head of Prime, Amazon India. “Bade benefits ab chhote monthly packs mein is how we like to think of our monthly plan!” he added. Prime is Amazon’s flagship membership program, where for a subscription fee, members can enjoy amazing benefits. These include unlimited free 1 day and 2 day delivery without minimum purchase on millions of items, unlimited Video streaming on Prime Video including the latest & exclusive blockbusters from top Bollywood, regional, Indian & international studios, top international TV shows and ground-breaking Original shows, Ad-free music on Amazon Prime Music with unlimited offline downloads across tens of millions of songs in multiple languages including – English, Hindi, Tamil, Punjabi, Telugu, Bengali, exclusive deals on top brands and lots more. Now, Prime members will get to enjoy all the above benefits with the flexibility of paying for their membership on a monthly cycle. Signing up for a monthly Prime membership is easy. Customers can go to www.amazon.in/prime Prime Video or Prime Music app and purchase the plan using any Credit Card or select Debit Cards. Once the membership starts, the membership will auto-renew on the same date of every month. There is no further action needed by members to enjoy uninterrupted Prime benefits. Prime is designed to make your life better every single day. Over 100 million paid members around the world enjoy the many benefits of Prime. In India, this includes unlimited access to award-winning movies and TV episodes with Prime Video; unlimited access to Prime Music, early access to select Lightning Deals and more. Prime was built on the foundation of unlimited fast, free shipping and members receive guaranteed free One-Day, Two-Day and Standard Delivery on millions of products in India.